Family Day long weekend is almost here, and the provincial and municipal governments have announced that a few parks, museums, and municipal facilities will be providing free entrance to celebrate. Here is our list of all the fun (and free!) events to check out in Calgary this long weekend. What: Travel back in time by checking out Canada’s largest collection of dinosaur bones for free this Family Day! What: Experience some hands-on science through experiments, crafts, and activities for the whole family. A live science show will be held at the theatre to ensure for a fascinating day off! 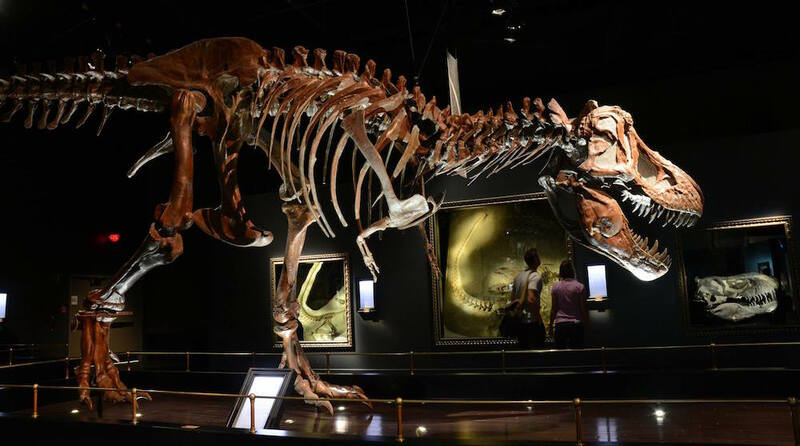 What: Wander through history at Alberta’s largest museum, and be amazed at dinosaur fossils, mammoth tusks, and archeological wonders. What: There’s plenty to do at Crimson Lake Winterfest, including snowshoeing, ice fishing demonstrations, and reduced camping rates to top it all off. What: Check out the Bonhomme Carnaval in Hinton to enjoy free cross-country skiing, French music, and kick sleds. A snowshoe walk will take place at 1 pm on Monday, with snowshoes provided for all participants. On February 18 there will be free public swimming at select City pools from 1 to 2:30 pm and 3 to 4:30 pm. The following arenas will have free skating from 1 to 2:15 pm on February 18. Bring your own skates and helmet to participate. Click here for a complete listing of community events happening in and around Calgary over the Family Day weekend.